Do you wear your granddad's clothes? Only got $20 in your pocket? Then get a load of this! 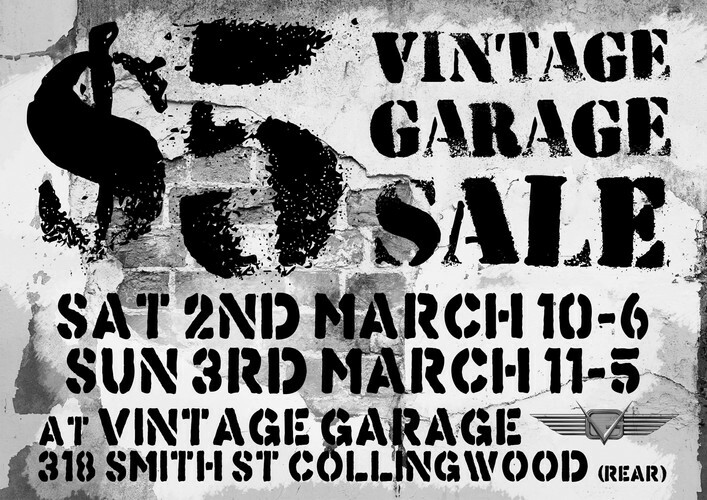 Vintage Garage is having a $5 Garage Sale. Come and get creative with this awesomeness and bag yourself a new wardrobe of one off pieces. This special sale is a gift of cheap madness from us to you and will run only on Saturday and Sunday. No item over $5 bucks. Plus 10% off instore all weekend! Rock on, oh funky ones. We are offering a chance to win a $100 Voucher to spend instore for sharing the event from our Facebook page.